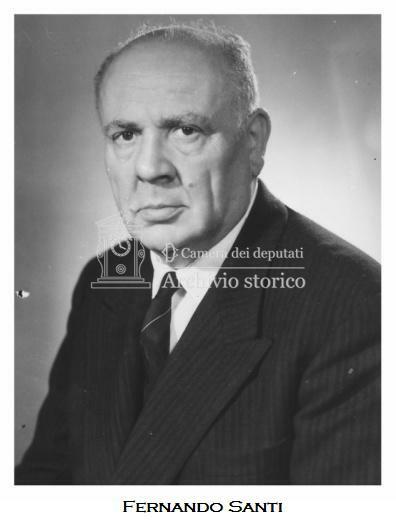 Vi proponiamo un estratto di un articolo sulla composizione e sulle tendenze demografiche della popolazione australiana a cura di Tom Wilson (Charles Darwin University, Australia). Tale estratto è apparso su N-IUSSP, il news magazine di IUSSP (International Union for the Scientific Study of Population). Australia’s Indigenous population consists of its Aboriginal and Torres Strait Islander peoples. Aboriginal peoples are estimated to have settled the Australian continent approximately 50,000 years ago whilst the Torres Strait Islanders, who originate from the islands located between mainland Queensland and Papua New Guinea, are believed to have arrived around 3,000 years ago. At the time of first European settlement in the late 18th century, the Indigenous population is estimated to have numbered between 0.8 and 1.1 million, but it was decimated by colonisation and by the beginning of the 20th century it had fallen to somewhere around 100,000. Little growth was recorded until the 1970s. However, over the last few decades growth has been high, with estimates based on the 2011 Census putting the population at 670,000. The importance of the Indigenous population to researchers and policy makers stems from the fact it is rapidly growing and highly disadvantaged. It is substantially more deprived than the Australian population as a whole according to almost any socio-economic indicator available. For example, life expectancy at birth (69 and 74 years for males and females, respectively) is about a decade lower than that of the Australian population as a whole (80-83); the prevalence of smoking is 2.6 times that of the non-Indigenous population; the unemployment rate for Indigenous persons aged 15 to 64 is about 4 times greater than that of non-Indigenous persons; and the imprisonment rate is 13 times higher (AIHW 2015). Federal and State and Territory governments in Australia have enacted a raft of policies called ‘Closing the Gap’ to attempt to reduce this inequality. Indigenous population data, and projections specifically, form an important component of the wider set of statistics necessary to monitor the progress of efforts to meet policy targets. Projections can provide clues as to whether set targets are likely to be achieved on the basis of probable future demographic trends, and, if necessary, prompt thinking about what policy changes might be required to remedy the situation. Recently, a new set of population projections has been produced using newly available datasets and a new projection model (Wilson 2016). The new model creates projections simultaneously for both Indigenous and non-Indigenous populations because the two interact. There are two key ways in which they do this. First, there is identification change. Indigenous status in official statistics is based on self-identification in the census, and some people report their Indigenous status differently over time. Recently the Australian Bureau of Statistics published a dataset which allowed such identification changes to be measured for the first time (ABS 2013). It demonstrated that more people are changing from non-Indigenous to Indigenous than vice versa. The new projections assume that these gains to Indigenous population will continue into the future. Second, the Indigenous and non-Indigenous populations influence one another through partnering and childbearing. Indigenous adults who are partnered increasing have non-Indigenous partners. According to the 2001 Census, 51% of Indigenous persons aged 15 and over in a registered or de facto marriage had a non-Indigenous partner; by 2011 it was 58%. And, according to census data, about 9 out of every 10 children produced from Indigenous/non-Indigenous partnerships are reported as Indigenous. The projection model incorporates these partnership and childbearing processes, assuming that an increasing percentage of partnered Indigenous adults will have a non-Indigenous partner in the future. The other projection assumptions include zero net international migration, slowly rising life expectancy, and above-replacement but gradually declining fertility. What impact will these assumed demographic trends have on future population change? According to the new projections, Australia’s Indigenous population is set to increase from 670,000 in 2011 to 1.2 million by 2036 and 2.0 million by 2061 (Figure 1). The non-Indigenous population is expected to increase from 21.7 million in 2011 to 43.0 million 50 years later. 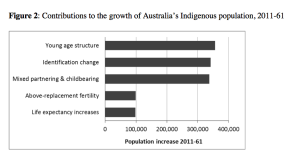 Although both populations are projected to experience high growth, the Indigenous growth rate is greater and results in the share of Australia’s population identifying as Indigenous gradually rising from 3.0% to 4.4%. a young age structure (momentum). The various contributions to population growth over the 2011-61 projection horizon are shown in Figure 2. If life expectancy remained at its values of 2010-12, the population in 2061 would be about 100,000 lower. If fertility was constant at replacement level, there would be a similar difference of about 100,000. The impact of mixed partnering and childbearing is much greater: the 2061 population would be about 340,000 lower without it. In the absence of identification change Indigenous population growth over the 50 year projection horizon would similarly be about 340,000 lower. The largest contributor of all is the young age structure of the Indigenous population, which adds about 350,000 to population growth between 2011 and 2061. This is the amount of growth that would occur in the absence of all other factors, i.e. with just replacement-level fertility, unchanging life expectancy, no identification change, and no Indigenous/non-Indigenous partnering. Perhaps surprisingly, increasing life expectancy and above-replacement fertility are likely to be relatively modest contributors to future Indigenous population growth. Far more important are the young age structure, identification change, and mixed partnering and childbearing. The projections therefore demonstrate how the future size of Australia’s Indigenous population is intimately connected to the non-Indigenous population. Finally, do the projections suggest a larger Indigenous population in coming decades than in the era prior to European contact? Recent estimates based on archaeological radiocarbon data estimate a peak population of roughly 1.2 million about 500 years ago (Williams 2013). 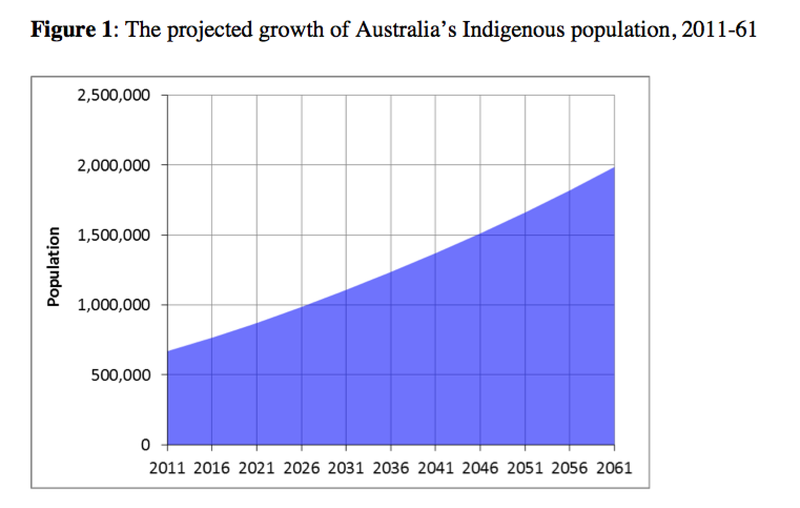 If this figure is correct, the projections indicate that Australia’s Indigenous population will become the largest it has ever been by around the mid-2030s. ABS. 2013. Microdata: Australian Census Longitudinal Dataset, 2006-2011. Catalogue No. 2080.0. Canberra: ABS. AIHW [Australian Institute of Health and Welfare] 2015. The Health and Welfare of Australia’s Aboriginal and Torres Strait Islander peoples 2015. Canberra: AIHW. Williams, A. N. 2013. A new population curve for prehistoric Australia, Proceedings of the Royal Society Series B 280(1761): 1-9. Wilson, T. 2016. 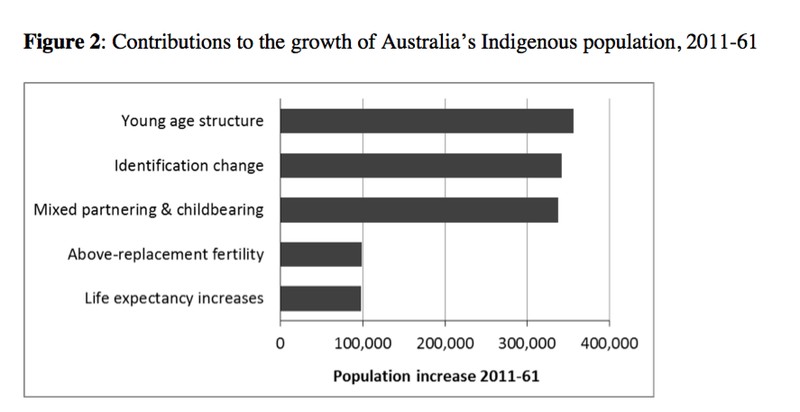 The future of Australia’s Indigenous population, 2011-61. Population Studies 70(3): 311-326. This is a non-technical summary of an article published by Taylor & Francis in Population Studies: A Journal of Demography on 30 September 2016.